Long-term engagement in mindfulness meditation has been found to be effective in achieving optimal athletic performance through decreasing the level of anxiety, ruminative thinking, and enhancing the experience of flow. Besides long-term training effects, the past years have seen an increasing interest in the impact of single bouts of meditation on cognition. In particular, focused attention meditation (FAM) and open monitoring meditation (OMM) instantly bias cognitive-control styles toward “more” (i.e., serial processing) versus “less” (i.e., parallel processing) top-down control, respectively. In this opinion article, we argue that the distinction between FAM and OMM is particularly effective when considering different types of sports. We speculate that FAM may enhance performance in closed-skills sports (i.e., archery, gymnastic), based on serial processing, in which the environmental is predictable and the response is “self-paced.” In contrast, we consider OMM to promote performance in open-skills sports (i.e., soccer, sailboarding), based on parallel processing, in which the environmental contingencies determine an “externally-paced” response. We conclude that successful meditation-based intervention on athletic performance requires a theoretically guided selection of the best-suited techniques specific to certain types of sports. “Peak performance is meditation on motion” is a revealing quote by the Olympic champion diver Greg Louganis which nicely incorporates the crucial role of meditation in “making the mind quite” for many athletes. The inevitable pressure felt by athletes to enhance performance and to always be “king of the mountain” aggravates pre-competition anxiety and everyday anxiety (Terry and Slade 1995). Via (a) present-centered attention and (b) acceptance of experience, mindfulness meditation has been found to be effective in achieving optimal athletic performance through decreasing the level of anxiety, ruminative thinking, and enhancing the experience of flow (see Birrer et al. 2012 and Pineau et al. 2014, for a review). The key element of mindfulness is indeed the nonjudgmental focus of one’s attention on the experience that takes place in the here and now (Kabat-Zinn 1994). Cottraux (2007) described mindfulness as “a mental state resulting from voluntarily focusing one’s attention on one’s present experience in its sensorial, mental, cognitive, and emotional aspects, in a non-judgmental way.” Beyond the positive effect on well-being and immune system (Davidson et al. 2003), mindfulness has been found to increase the gray matter concentrations in brain regions involved in learning and memory processes (hippocampus), emotion regulation (posterior cingulate cortex), self-referential processing, and perspective taking (temporo-parietal junction) (Hölzel et al. 2011; Hölzel et al. 2008). Furthermore, it has been found that reductions in perceived stress correlated positively with decreases in right basolateral amygdala gray matter density (Hölzel et al. 2010) after 8-week mindfulness-based stress reduction intervention. Related to it, in a seminal study, John et al. (2011) showed decrements in cortisol levels (stress hormone) in a group of elite shooters who underwent a training of mindfulness meditation (5 weeks), compared to a control group. From a recent survey, it seems that athletes perceive meditation as an important factor in enhancing sport performance, and the higher the level of sport proficiency, the more important meditation seems to be to cope with and to reduce anxiety levels (Kudlackova et al. 2013). Furthermore, several studies have shown that long-term mindfulness meditation practice enhances the experience of flow, which consists of the absence of negative thoughts and a feeling of enhanced physical and psychological functioning (Kee and Wang 2008; Bernier et al. 2009; Kaufman et al. 2009; Scott-Hamilton et al. 2016; Zhang et al. 2016). The experience of flow influences the performance of an athlete indirectly by playing an important role in keeping the athlete motivated over time (Jackson 2000). 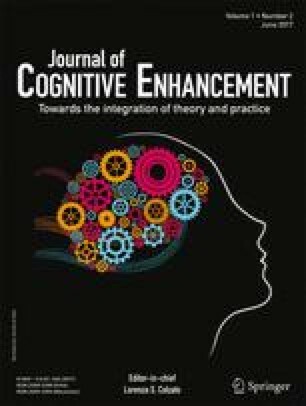 Whereas in the studies mentioned above, meditation has been viewed as a long-term technique primarily intended for indirectly promoting sport performance via enhancing flow and anxiety reduction, the present opinion article presents the idea that short-term bouts of different prototypes of meditation might directly affect athletic performance by its enhancing cognitive effects when considering different types of sports. In their seminal work, Lutz et al. (2008) were the first to point out that two prototypes of meditation are usually investigated: focused attention meditation (FAM) and open monitoring meditation (OMM). Whereas FAM requires the voluntary focusing of attention on a chosen object, OMM involves an overt, but unreactive, monitoring of the content of experience from moment to moment (Lutz et al. 2008). More recently, Lippelt et al. (2014) suggested that FAM and OMM are likely to exert different, to some degree even opposite effects on cognitive (control) processes. In line with the idea that different kinds of meditation affect human cognition in different ways, a recent meta-analysis concluded that different practices of meditation are indeed subserved by largely, if not entirely, disparate brain networks (Tomasino et al. 2013). Usually, FAM is the beginning point for any novice meditator (Lutz et al. 2008; Vago and Silbersweig 2012). During FAM, the practitioner is required to focus attention on a chosen object or event, such as breathing or a piece of wood. To keep this focus, the practitioner has to constantly sustain the concentration on the chosen object so to prevent mind wandering (Tops et al. 2014). After practitioners get familiar with the FAM technique and can easily sustain their attentional focus on an object for a substantial amount of time, they often progress to OMM. In contrast to FAM, there is no object or event in the internal or external environment that the meditator has to focus on. The aim of OMM is rather to carry on the monitoring state, remaining attentive to any experience that might arise, without selecting, judging, or focusing on any particular object. Recent studies have suggested that single bouts of FAM and OMM are sufficient to bias cognitive-control styles toward “more” versus “less” top-down control, respectively. As suggested elsewhere, FAM increases top-down control and thus strengthens top-down support for relevant information, while OMM weakens top-down control and thus reduces top-down support (Colzato et al. 2012; Colzato et al. 2015; Colzato et al. 2016). Figure 1 captures the emerging idea that FAM tends to strengthen the impact of the task goal and/or the competition between alternatives (cf., Hommel 2015) by supporting serial processing, whereas OMM tends to weaken the impact of the task goal and/or the competition between alternatives (cf., Hommel 2015) by supporting serial processing. In particular, evidence for the assumption that FAM strengthens top-down control by supporting parallel processing comes from several studies that show that FAM increases sustained attention (Carter et al. 2005; Brefczynski-Lewis et al. 2007). Neuroimaging evidence by Hasenkamp and colleagues (2012) suggests that FAM is associated with increased activity in the right dorsolateral prefrontal cortex, which has been associated with “the repetitive selection of relevant representations or recurrent direction of attention to those items” (D’Esposito 2007, p. 765). In line with these findings, Colzato et al. (2015) found that single bouts of FAM was successful in leading to a narrower distribution of attention over time. In contrast, evidence for the hypothesis that OMM weakens top-down control by supporting parallel processing comes from several studies illustrating that OMM induces attention to be more flexible and continuously shifted to different objects (Chan and Woollacott 2007; Slagter et al. 2007; van Leeuwen et al. 2009; van Vugt and Slagter 2014). Furthermore, meditators showed improved flexible visual attention by identifying a greater number of alternative perspectives in multiple perspectives images (Hodgins and Adair 2010). Moreover, a study compared OMM and FAM meditators on a sustained attention task (Valentine and Sweet 1999): OMM meditators outperformed FAM meditators when the target stimulus was unexpected. This might indicate that the OMM meditators could be associated with a wider attentional scope. In sum, because FAM and OMM support serial and parallel processing respectively, see Fig. 1, they show differential enhancing effect on attention: OMM improved flexible visual attention, whereas FAM supports sustained attention. In the following section, we will argue that the distinction between FAM and OMM is particularly effective when considering different types of sports, such as closed-skills and open-skills sports. Most meditation programs aimed to enhance athletic performance have a one-size-fits-all design and assume that athletes benefit from the intervention more or less the same way and to more or less the same degree irrespective of the skills type of the sport they are practicing. We propose that the efficiency of meditation-enhancing interventions will depend on the technical demands of the perpetrated sport. Accordingly, only enhancing programs that are tailored to skills, individual abilities, and needs are more likely to succeed. Indeed, applying meditation effectively to sports necessitates an understanding of their technical demands. A broad range of sports are classified according to the skills and technical competencies they require (e.g., Magill and Anderson 2016). In closed-skills sports (i.e., archery, gymnastic), the action environment remains relatively stable and predictable over time. The object to be acted on does not change during the performance of the skill. In this kind of sports, performance is self-paced, that is, a responsive movement behavior is not needed. Time pressure is not interfering with performance. These sports typically are based on serial processing which requires sustained attention and where the sport performance takes place in a pre-determined sequence. Given that FAM supports serial processing, we speculate that FAM might enhance performance in closed-skills sports. Interestingly, it has been recently shown that the stimulation of the dorsolateral prefrontal cortex, the same area impacted by FAM (Hasenkamp et al. 2012), was successful in promoting implicit motor learning in golf, a closed-skills sport (Zhu et al. 2015). In contrast to closed-skills sports, in open-skills sports (e.g., soccer, sailboarding) the action environment is constantly changing and so movements have to be continuously adapted. Here, the performer must act according to the action of the object or the changing characteristics of the environment. Accordingly, in this kind of sports, performance is externally paced and the athlete needs to respond to external events/opponents in order to calibrate the next movements. Time pressure may perturb performance. These sports typically are based on parallel processing which requires flexible attention and the ability to perform multiple actions at the same time. Notably, it has been found that theta activity to be increased during meditation, primarily during OMM (for review, see Travis and Shear 2010). The same theta oscillation is involved in motor control. Recently, it was revealed that event-related synchronization in the theta band takes place in the contralateral motor area during the onset of fast ballistic movements (Ofori et al. 2015). Furthermore, theta oscillation was phase-locked with the onset of the movement and the theta power correlated with movement acceleration (Ofori et al. 2015). Given that OMM supports parallel processing, we propose that OMM might enhance performance in open-skills sports. In sum, because FAM and OMM support serial and parallel processing respectively, we expect them to be applied successfully in sports that mirror the kind of mental processes sustained by them. Within the default-interventionist framework, Evans and Stanovich (2013) introduced the idea of two distinct types of processing: automatic vs. controlled. Type 1 processes are autonomous both started and finished in the presence of relevant triggering conditions and they do not involve working memory. On the other hand, type 2 processes are controlled and necessitate working memory because they entail hypothetical thinking and mental simulation (Evans and Stanovich 2013). The validity of default-interventionist framework applied to the field of sport has been recently presented by Furley et al. (2015). For example, the movement behavior of archers or shooters depends on type 1, but not type 2 processing. In contrast, executing open skills in game sports or combat sports could be prototypical examples for type 2 processing. We suggest that FAM might support type 1, whereas OMM might sustain type 2 processing in sport. We conclude that successful meditation-based intervention on athletic performance requires a theoretically guided selection of the best-suited exercises and techniques specific to certain types of sports. Such theoretically guided selection will allow for the development of personalized, individually tailored meditation training programs. Not only will these meditation programs be more effective but they also will be much more motivating for athletes (as unnecessary failures due to sport-skills mismatches can be avoided) and more cost-efficient. This in turn will make the implementation of such interventions more likely even in times of sparse budgets. Our idea of personalized, individually tailored approach fits with the idiosyncratic framework of the multi-action plan model which proposes that there can be different strategies to achieve optimal performance outcomes as a function of the individual’s psychophysical state at a particular moment (Bortoli et al. 2012; Bertollo et al. 2016). Even though it seems plausible that different meditation types will be a future way to enhance mental performance in sport, it is important to acknowledge that extensive research is needed to verify our claims that FAM might enhance performance in closed-skills sports, whereas OMM might promote performance in open-skills sports. Although more research is needed to fully understand the direct effects of different types of meditation on enhancing athletic performance, we propose that only taking into account the technical demands of the different kind of sports will allow us to design individualized meditation interventions.